What does it mean to do wrong, when no one punishes you? 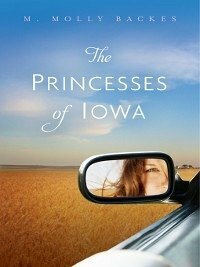 A smart and unflinching look at friendship, the nature of entitlement, and growing up in the heartland. Paige Sheridan has the perfect life. She's pretty, rich, and popular, and her spot on the homecoming court is practically guaranteed. But when a night of partying ends in an it-could-have-been-so-much-worse crash, everything changes. Her best friends start ignoring her, her boyfriend grows cold and distant, and her once-adoring younger sister now views her with contempt. The only bright spot is her creative writing class, led by a charismatic new teacher who encourages students to be true to themselves. But who is Paige, if not the homecoming princess everyone expects her to be? In this arresting and witty debut, a girl who was once high-school royalty must face a truth that money and status can't fix, and choose between living the privileged life of a princess, or owning up to her mistakes and giving up everything she once held dear. M. Molly Backes is an exciting new talent in the world of young adult novels. After graduating from Grinnell College in Iowa, she moved to New Mexico, where she taught middle school and got 150 of her students to write novels for National Novel Writing Month. She now lives in Chicago, where she works at StoryStudio, Chicago's center for writing and the related arts.